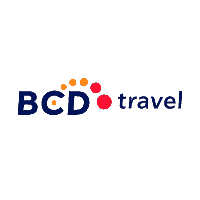 BCD Travel are a global travel management company, and they had great relationships with their clients, partners and with each other. They were even known in the industry as the company people ‘like’ doing business with. But they knew their communications could be working harder for them. Getting the right messages across first time. Bringing their exciting stories to life. So they focused on tone of voice as a way to raise their game, and came to us for help. We leverage the total BCD Travel client online portfolio when negotiating with the online booking tool vendors for costing and enhancement prioritization. We use our entire client online portfolio to get better prices and to prioritize the best online booking tools. As we began working with people in London and the US on their language, we both realised there was a missing piece to the puzzle – a clear brand positioning and personality. So after meetings in Chicago and phone interviews (some at ungodly hours!) between our brand strategist in Australia and BCD Travel people in the US, Europe and Asia Pacific, we came up with what we thought was the essence of BCD Travel. A brand positioning and personality they could be proud of, and build into their communications through the right tone of voice and visual identity. They liked it. So with this new personality in hand, we designed a visual identity and tone of voice to better reflect their brand. We wrote a thorough set of guidelines for using their new tone in English communications worldwide. Then we trained around 80 people (half with English as a second language) in the US and Europe in the new tone of voice. There are now tone champions in every main BCD Travel region looking after each business area. They’re also rolling out the tone of voice principles in their other main languages. And along the way we rewrote a series of marketing brochures for them – really putting their new tone to the test. The result? The folks at BCD Travel have wholeheartedly embraced their new tone of voice and ‘look and feel’. They can see how much stronger their communications are as a result. And some of them have become even more obsessed with the finer points of written style than we are.